BANGALORE, India – In celebration of World Food Day on October 16, Griffith Laboratories, Worldwide Inc., and Griffith Laboratories Private Limited are excited to announce the inauguration and launch of The Bangalore Food Bank, located in Bangalore, India. The Bangalore Food Bank, officially named “The Feeding Bangalore Foundation,” is sponsored by Griffith Laboratories, a United States-based developer and manufacturer of customized food ingredient systems. The new food bank is part of the India FoodBanking Network (IFBN), the India affiliate of The Global FoodBanking Network (GFN). An event celebrating the launch was held at Griffith HOUSE, Griffith’s office in Bangalore. The food bank is the first in India outside of the Delhi metro area, and began with a conversation between Mr. Shyam Mohan, president of Griffith Laboratories India – Middle East, and Mr. Jeffrey Klein, president and chief executive officer of The Global Food Banking Network. This further investigation led Shyam to believe that Griffith Laboratories has the unique capabilities, expertise and network to successfully establish a productive food bank in Southern India. He then began to work with Chris Rebstock, GFN’s senior vice president, network development. “Over a period of three to four months following our initial conversation, Jeff and Chris guided us through best practices established by GFN, and we created a forum to ensure successful planning,” Shyam said. Along with Shyam, the planning forum was comprised of key leaders in the Bangalore community, such as: Dr. Madhura M. Chattrapathy, entrepreneur and trustee director with the Asian Centre for Entrepreneurial Initiatives (ASCENT); Mr. Sanjay Thirumalai, managing director with Grant Thornton, an independent audit, tax and advisory firm; Mr. Jayaram Srinivasan, founder and partner of the food and agribusiness technology firm, FrontalRain Technologies Pvt. Ltd.; and, Ms. Vandana Singh, CEO of the IndiaFood Banking Network and Food Security Foundation India. The group published a business plan to help the food bank grow throughout Bangalore, as well as collect data to better understand the specific need throughout the city. This plan will serve as the foundation to serve even more people in Bangalore. The Global FoodBanking Network continues to serve as a partner to the Bangalore Food Bank, and is focused on alleviating global hunger by collaboration with organizations, like Griffith Laboratories, to develop food banks in communities where they are needed around the world, and by supporting food banks where they exist. The Bangalore Food Bank is guided by a Board of Directors and managed by Ms. Meher Dasondi, director of operations. Dasondi is a chef and also served as head of HAFT- hospitality management course at Sophia Polytechnic, a Mumbai-based institution dedicated to empowering women by providing them with a dynamic and caring environment for acquiring professional skills. “My personal aim is to initiate a food mission which will create a supportive environment for those who are always trying to stretch their rupee so they can purchase food,” Meher stated. Other support members for the food bank include: Sudhakar Thamankar, head of finance and administration, and Sajan Chinnappa, director, supply chain and operations, both with Griffith Laboratories India – Middle East; Vivek and Sarah Chandy with J Sagar & Associates; and, Anu Sharma with The HR Practice. In further celebration of World Food Day, 19 Griffith Laboratories units around the world participated in the company’s Produce for Hunger initiative, which resulted in over 65,000 kilograms of food donated to food banks in 10 countries. 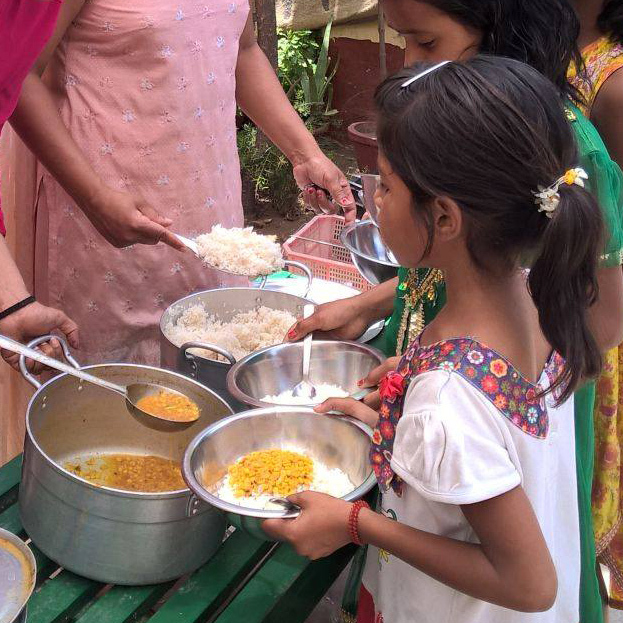 Five hundred kilograms of khichdi, a nutritionally balanced meal containing a mixture of lentils, rice, vegetable, nuts and seasoning will be produced and donated to the Bangalore Food Bank. This will provide 5,000 meals to the hungry in Bangalore. Griffith’s research & development and culinary teams worked together to develop a meal that was easy to cook, is nutritious and satisfies the local tastes. Griffith will also produce and distribute 600 kilograms of khichdi to three food banks in the Delhi metro area that are part of the India FoodBanking Network. This donation will provide 6,000 meals to these three locations. Now that the Bangalore Food Bank is established, the group is committed to building city-wide awareness, capturing surplus food, improving delivery systems and building new programs. Additionally, The Bangalore Food Bank will work with other non-governmental organizations (NGOs) in the coming months to train those in need with culinary and soft skills at Griffith’s culinary center. This training is designed to provide opportunities for individuals to acquire the skills necessary to work in the food service and hospitality industry to help create a more secure future, further reducing hunger in India. Chris Rebstock acknowledged the team at Global FoodBanking Network shares Shyam’s vision. For more information, or if you are interested in supporting The Bangalore Food Bank through partnerships, volunteering or through monetary or food donations, contact Ms. Meher Dasondi at meherdasondi@bangalorefoodbanking.org.